Where is the fuel filter of Cuore located? Where is the fuel filter of Cuore located? and if someone can provide a picture it will be much appreciated. Fuel filter is located beneath / under the fuel tank. it is just by the rear left tyre. if u get under car. u will find a white bottle attached with two pipes. thats your fuel filter. 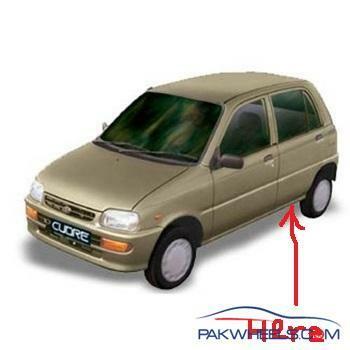 Cuore Fuel Filter is located near the fuel tank as the picture above clearly illustrates. 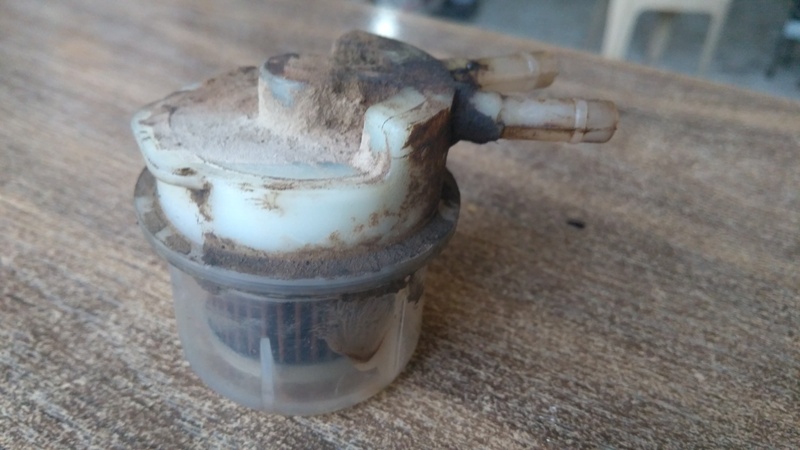 This is how a choked fuel filter looks like. Symptoms of choked fuel filter include loss of power and persistent petrol smell.